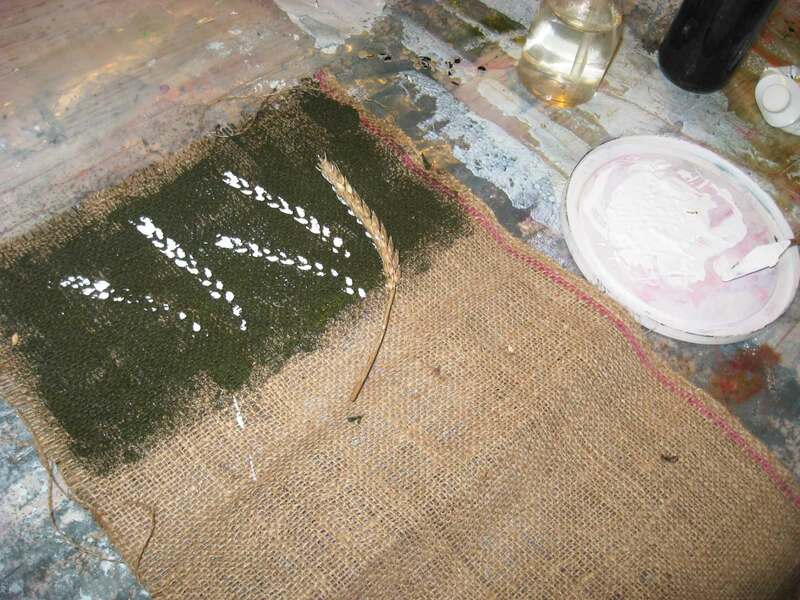 Painted burlap printed with wheat. 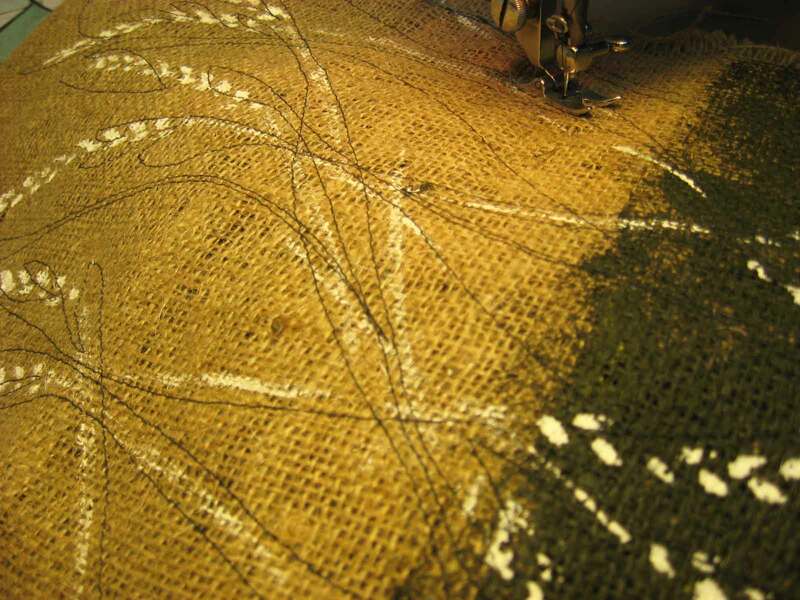 Free hand stitching to black interfacing. Ghost print of the lace used on the denim in previous post. I always have something handy – or find something fast! – to use the last of anything. This material was once worn as a working man’s uniform trousers. Sturdy stuff. I liked the incongruity of the lace on the durable fabric that was already carelessly paint splotched with the blue. (See, it does look blue here! A previous post would tell why I couldn’t resist this comment.) These bags could also be further painted or embellished but I’ll leave that decision for someone else. 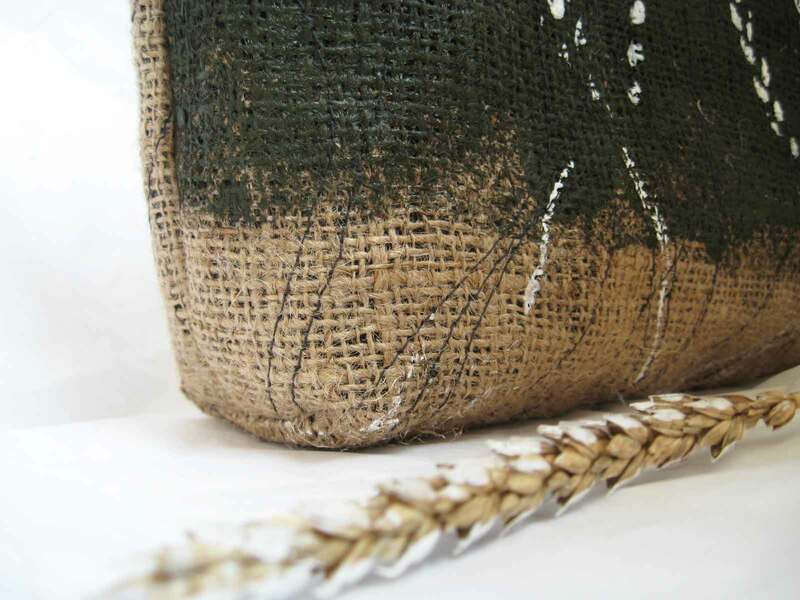 Grunge bags for brushes or long tools, paper rolls or knitting needles. Available in my Etsy Shop.